(Trent Nelson | Tribune file photo) Geneva Rock's operations at Point of the Mountain, straddling Utah and Salt Lake Counties, Sept. 22, 2015. Draper Mayor Troy Walker, who questioned the need for the bill in the first place, said it ended up being something he can live with. Geneva Rock has been seeking, so far unsuccessfully, to rezone property it owns to expand its gravel operation on the Draper side of Point of the Mountain. 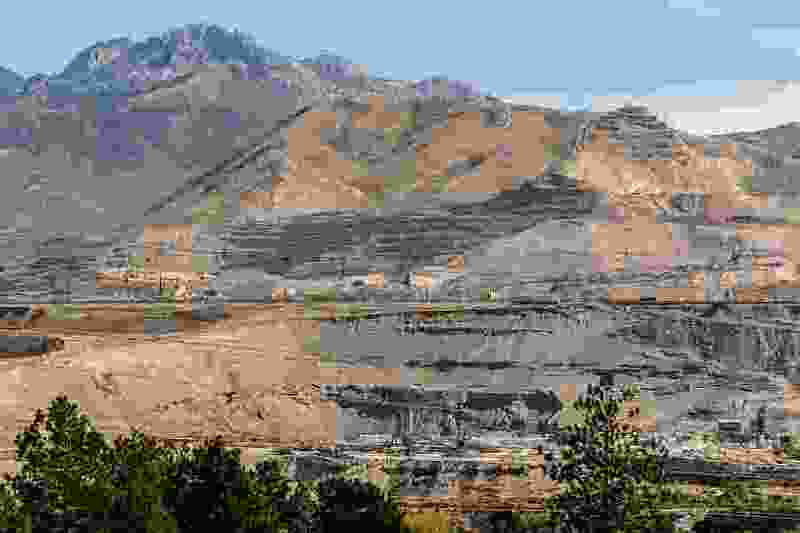 That decision remains with the city under HB288, he said, although it prohibits a municipality from changing zoning within a permitted mining zone and eliminates any local authority to control what goes on in an existing operation. That doesn’t bother Walker, because the city doesn’t attempt to regulate Point of the Mountain mines and isn’t equipped to do so. Clarification: This story has been altered from the original to reflect Rep. Kay Christofferson's previous employment as an executive of Geneva Rock.